4k00:10Portrait of a young woman with curly hair outdoors. 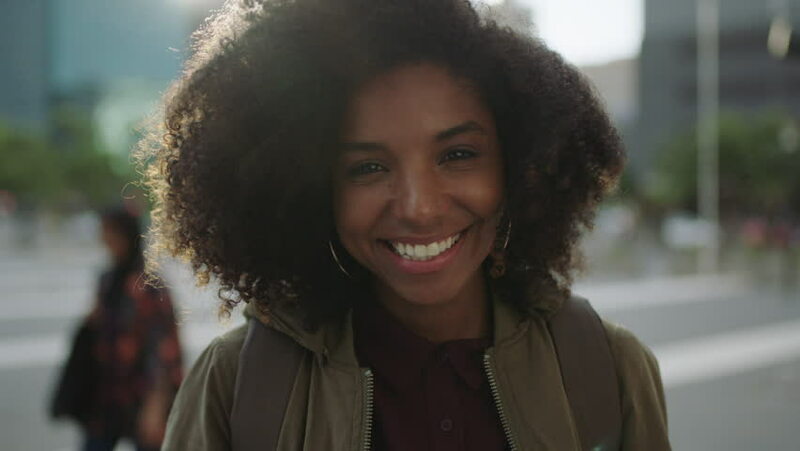 4k00:12Smiling young black woman. Joy, positive and love. Beautiful african-style hair. 4k00:13Warm golden autumn. Portrait of a young woman in the park.